I am addicted to American football. I have season tickets for University of Tennessee football and spend many happy (and too many sad) autumn Saturdays watching my beloved Vols. When I’m not sitting in Neyland Stadium on fall afternoons or evenings, I’m parked in front of the Haltom jumbotron, (my big screen TV in my den), with my remote control channel changer firmly in my hand watching 20 to 25 football games in a single day. I am incredibly agile with my remote control channel changer. I am the Peyton Manning of remote control. I now even have a voice-generated remote control so that I can change the channels simply by holding the remote control up to my mouth, pushing a button, and saying something like “ESPN” or “SEC Network.” That’s right, my fellow American football fans. I now change the channel on football Saturdays by doing audibles. I am an American football fan, not a Brazilian football fan. But Sunday morning, I will be parked in front of my Haltom jumbotron watching the World Cup Finals, and to my surprise, I am actually looking forward to it. 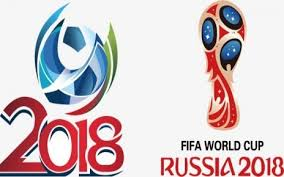 Over the last few weeks, I have been watching the World Cup matches even though the United States of America does not have a team. The USA team was eliminated from World Cup competition by Trinidad, for crying out loud. If President Trump truly wants to make America great again, he should start by building a soccer team that can actually make the World Cup Tournament, or at least beat Trinidad. But even without a USA team to root for, I have had a favorite team in this year’s World Cup Competition. In fact I have had several of them. They have been any team that is playing Russia. I grew up during the Cold War and was raised to believe that Russia is a Godless, atheistic country, which in fact it is. I realize that President Trump now says that we Americans have more to fear from Canada than Russia, but I think that is true only when the Predators are playing either the Montreal Canadians or the Toronto Maple Leafs. I was thrilled when Croatia beat the Russian Fighting Atheists in the World Cup quarter finals, and I am pleased that the World Cup Finals will feature Croatia and the nation that gave us the Statue of Liberty. I also do not understand why soccer players spend much of the game flopping around on the field pretending to be injured. It’s like every one of them has played basketball for the Los Angeles Clippers, or as I like to call them, the Los Angeles Flippers. I also do not understand the yellow cards the referees occasionally hold in the air during the game. I have been told it is some type of warning. For example, in Russia’s loss to Croatia, the referees often showed the Russian players yellow cards, no doubt warning them that if they lost the game, they would be sent to the Gulag. But despite the fact that I still believe American football is real football, and do not understand the meaning of the word “nil” or the purpose of the yellow card, I’ll be watching the World Cup finals on Sunday. I hope it comes down to one of those penalty kick shootouts at the end of the game. That’s almost as exciting as when my Volunteers attempt a game-winning field goal in overtime. Peggy McClure: NOW I understand soccer/futbol so much better, thanks to you!! Aren’t the more tame finals being played in England on the same day?!? Although the GOAT did not make it this far, this time, Don’s will be watching both with his remote control switching back and forth for sure!! Jack Greiner: Nice job Bill. Do you shout "Omaha" before you change the change the channels?